So you've got only one day to explore Seattle, and you'd prefer to see the Emerald City on a budget? Never fear: Mother Nature has helped make this a very attainable feat. The city's proximity to water and mountains means that you can fill hours on end simply wandering the beautiful landscapes and getting a feel for this town's picturesque, diverse neighborhoods. Add in some free cultural activities and inexpensive dining for good measure. 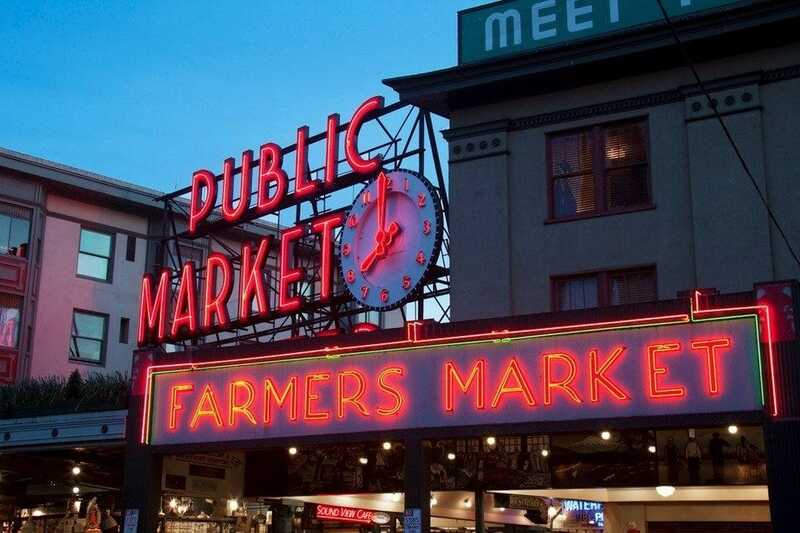 Begin the morning in downtown's Pike Place Market, a must-see "tourist" spot that even locals love to frequent. Find some affordable eats for a breakfast-on-the-move from one of the market's many local vendors (Think freshly-baked pastries, colorful produce and steaming cups of coffee. ), and hear street entertainment that ranges from bluegrass bands to a lone piano player, depending on the day. Visitors love to wander the venue's hundreds of stalls, watch the famed fishermen flip slimy catches across countertops and perhaps even pick up samples from generous sales folk. If the weather's not behaving, you might want to next choose a downtown indoor activity like shopping mall Pacific Place; the impressive, public Central Library; or the Seattle Art Museum, which requests a suggested donation fee, but is free to all patrons the first Thursday of each month (And the first Friday is free to those ages 62 and over.). If you're keen to see some bird's-eye views of the City but don't want to pay the Space Needle's hefty entrance fee, check out the Starbucks on the 40th floor of the Columbia Tower. During summer months, free downtown lunchtime concerts delight music lovers in City plazas and parks. Be sure to check the Downtown Seattle website for that info. Next, wander down to the waterfront, where the people watching is superb, a whimsical Ferris wheel spins and graceful ferries slice their way across Elliott Bay. Walk toward the Olympic Sculpture Park, where there is no admission charged to soak in spectacular water views and colossal pieces of modern art. A waterside trail is a popular place to stroll or bike. Spend the afternoon wandering a neighborhood like Ballard. The bus fare from downtown costs $2.25 each way. Look up bus routes and times online. In Ballard, walk around near old shipyards, visit the Nordic Heritage Museum (There's a suggested admission of $5.) and find dozens of shops, cafes and restaurants. Thanks to Seattle's thriving happy hour scene, many venues offer excellent deals on food and drink, often two times a day (in the pre-dinner hours and often again around 9 p.m.). 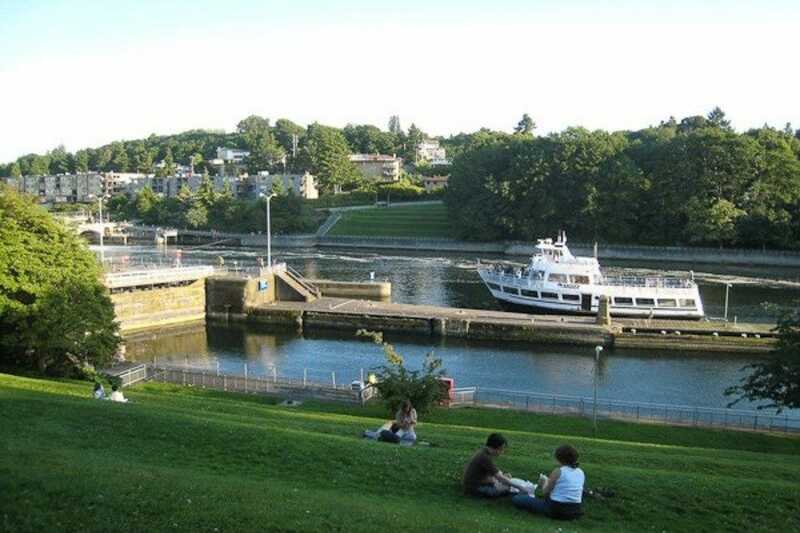 If you're here in summertime, when the sun barely seems to set, take advantage of other beautiful spots in the Ballard area like the Hiram M. Chittenden Locks, the Carl S. English, Jr. Botanical Gardens and Golden Gardens beach - where pits in the sand allow for wonderful bonfire picnics. Other inexpensive food options around here include Paseo's, Red Mill Burgers and Lockspot Cafe. When all is said and done, you'll have gotten an excellent feel for the city of Seattle in just one day. Best of all - both your family and your wallet will end the day happy. Corinne Whiting knows that you can't put a price tag on the best things in life. 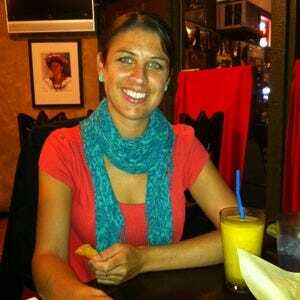 Here's her take on "Seattle on a Shoestring."